It sounds very nice when you think that you have your own investment portfolio. It is an important step to improve your finances and get your goals. The question is that a portfolio has its own life since its inception and your responsibility as investor is guiding the portfolio to your interests. What are the signals that you have to follow? The performance evolution: the figure alone is not enough, because it has to be put in comparison to others. We recommend comparing it with the smart benchmark. This comparison provides the view to understand if we have chosen the right assets or not. For instance, this example shows that we are far from the benchmark and there is a wide improvement to manage. The weight of the assets in your portfolio: it is also relevant to understand the allocation. If we have a concentration in a country or a sector, there is a high risk to suffer from instability, if the trend changes. Diversification reduces risks, but we can have some assets with lower returns. 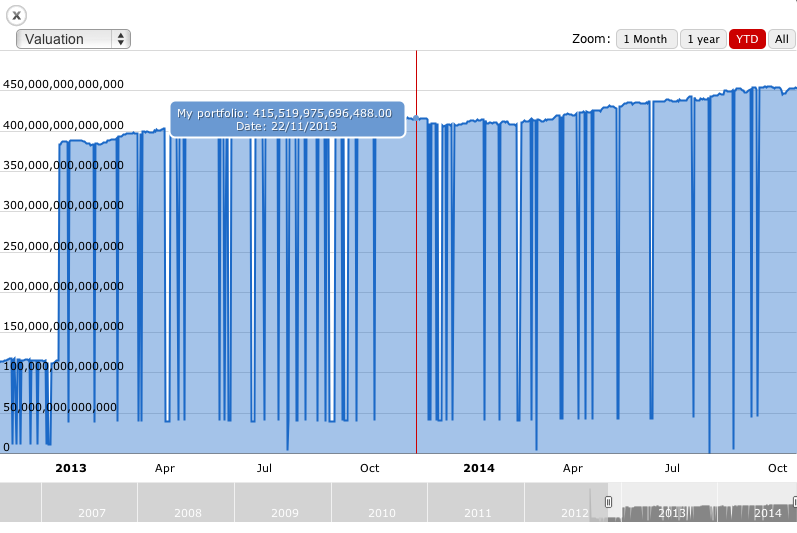 A good analysis can help us look for similar assets with better figures in order to rebalance the portfolio. The relationship between performance and volatility: first of all, volatility does not mean necessarily more risky, as we have already commented. However, we can understand the connection between performance and volatility through the Sharpe ratio. This figure shows how profitable an investment is related to the historical volatility. The higher the ratio is, the better the investment is… but this idea is not totally right if we do not compare two assets. You can find two assets with similar ratios but with different figures. We have to look into the numbers to understand if it has a high performance with a high volatility. There are some other figures that we will soon comment. 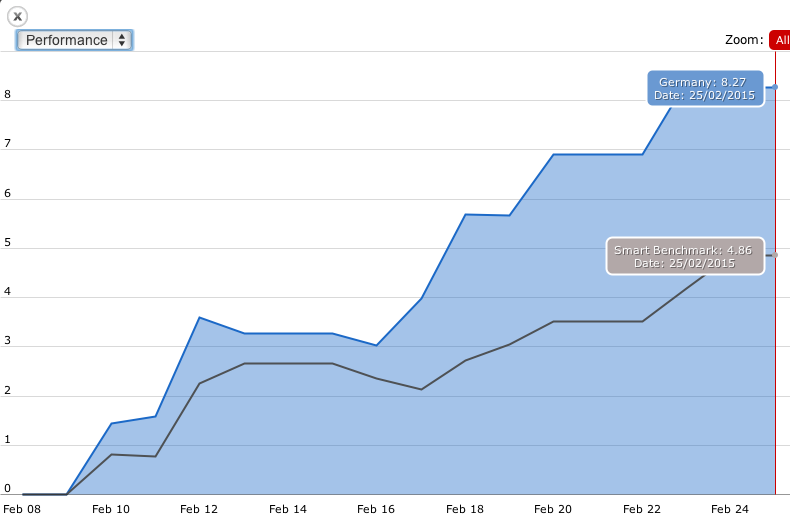 This entry was posted in Discover and tagged allocation, Diversification, Performance, Portfolio, Sharpe ratio, smart benchmark, volatility on February 9, 2017 by Oscar Garcia. T-Advisor is a suite of advanced and professional investment tools for individuals and advisors. As a technological solution, our team is always working to improve features and usability. We know that perfection is impossible to reach, but we work as it isn’t, so that our users could not find any other better solution than ours. What are the main last improvements? 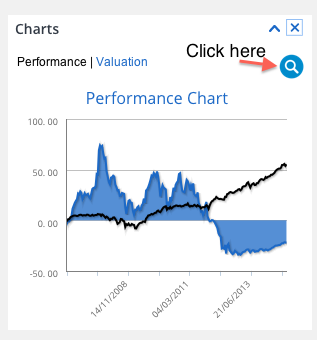 Firstly, the performance chart in your portfolio. 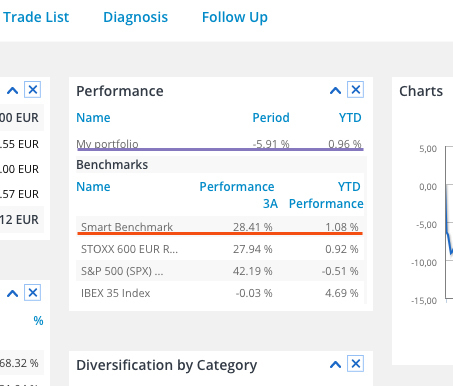 You can choose the period to compare your portfolio with the smart benchmark and you can also select another chart to see the portfolio valuation. We have also improved our list of assets, setting categories to find the ones you are looking for. The list has deeply grown: 41 world stock indexes, more than 100 international fund managers, 20 exchanges, as also bonds, certificates and currencies. 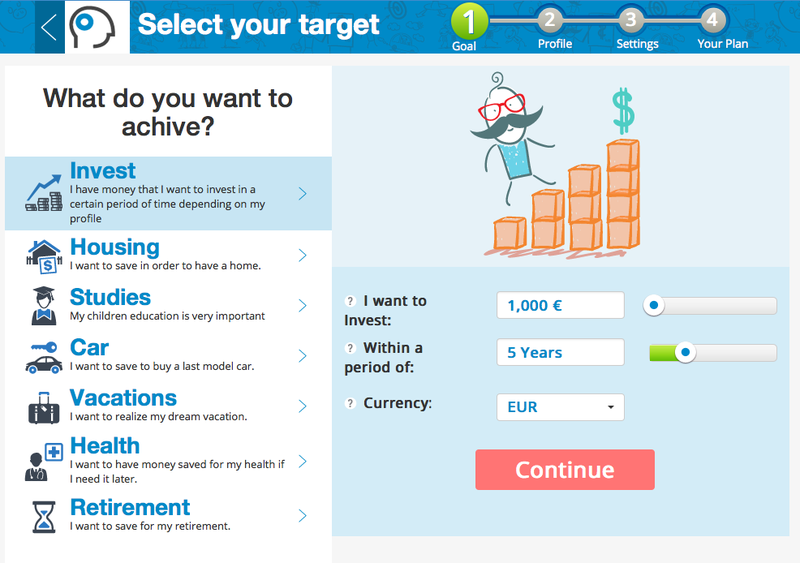 We have also implemented a new module: our investment planner. We proudly announce this implementation, as we have set an easy-to-use tool: up to 7 different plans (from housing to retirement) and advanced settings to take into account inflation and tax effects. At the end, you obtain a report with a suggested allocation depending your profile and a capital projection for the selected period of investment. In our version for professionals, the upgrade focused in the usability to manage clients and the performance figures related to their investments. This is not the end. T-Advisor is steadily working to develop new features and settings and include a better usability. Our aim is that our users feel totally satisfied managing their investment with us. So many tools just for 0€? Of course! Please enjoy them! 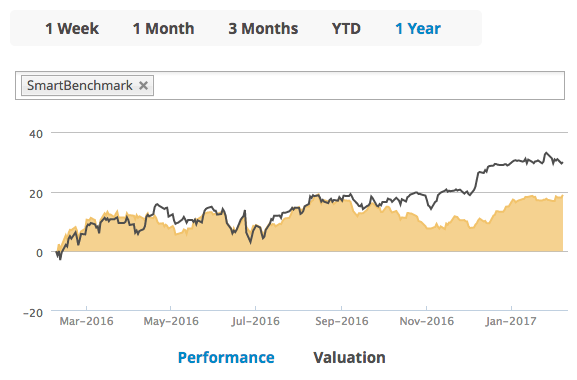 This entry was posted in Discover and tagged investment planner, Performance, Portfolio, smart benchmark, Valuation on October 30, 2014 by Oscar Garcia. Investors do not focus just on one stock, but in many of them. Moreover, investments usually organise in portfolios with several kinds of assets: stocks, ETF, mutual funds… With such mixture, it is difficult to follow the composite performance, if the investor do not have available the right tool. For these cases, we have to follow the benchmark. What does it mean? The benchmark is the reference for your portfolio. It is an easy figure to be reported whether your portfolio is on-track or in the opposite way to achieve your performing target. What information do we have available? First of all, we have the performance of our portfolio from the beginning of our investments and from the beginning of the current year. 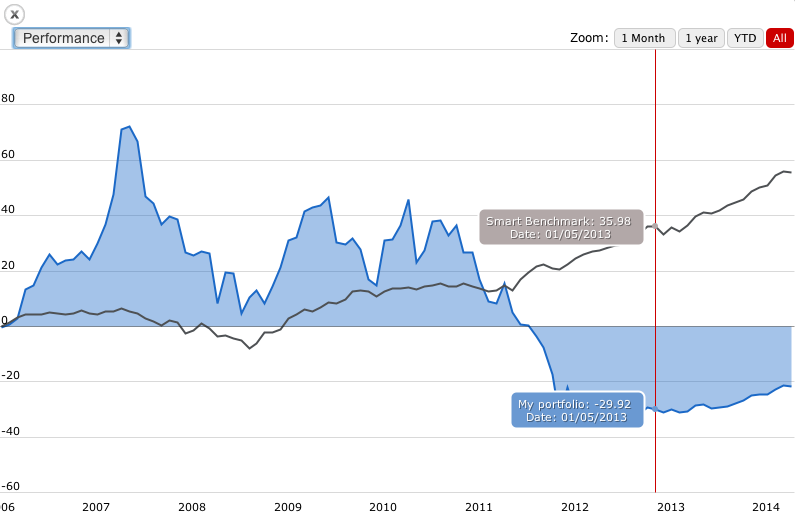 Below it, we have the benchmarks from the indexes where we have assets in our portfolio and… the smart benchmark. Smart benchmark is a functionality provided by T-Advisor for its users. 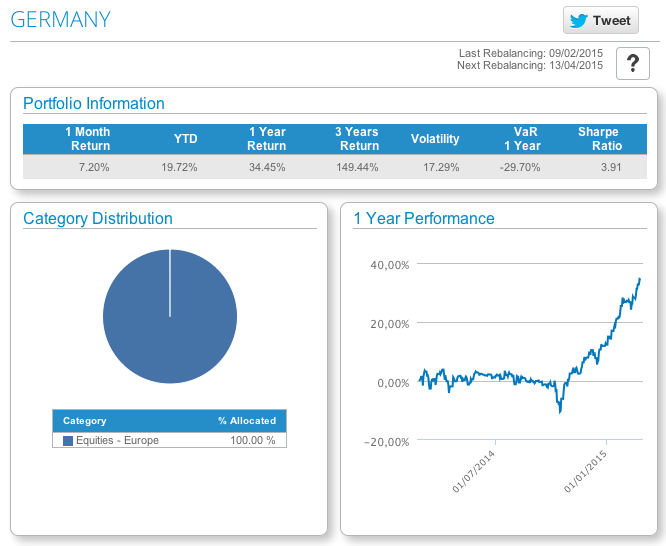 You do not have to calculate, because T-Advisor automatically shows the figure. What information do you get from it? 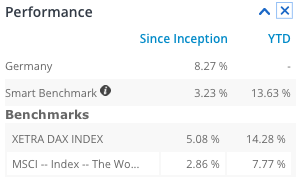 It mixes the different indexes benchmarks in the proportion you have in the portfolio and obtains a composite benchmark. So, you can compare if you are on-track or far from the performance you are looking for and from the market trend. 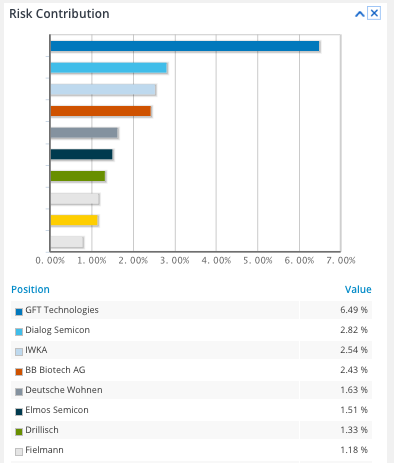 But you get still more in T-Advisor with smart benchmark. You can also compare the portfolio risk with the benchmark risk, comparing performance, volatility, value at risk and shape ratio. These figures report accurately to take decisions about your own investments: am I wrong with my investments? What should I change? 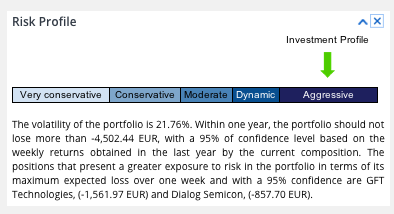 Finally, it is to underline that T-Advisor has developed this tool so that every user has at his or her disposal an automatic reference to compare the evolution of his or her portfolio and take the best decisions to maximize the investments. This entry was posted in Discover and tagged Performance, Portfolio, risk, smart benchmark on January 16, 2014 by Oscar Garcia. T-Advisor, the advance wealth management software launched last year for personal investments, is a milestone in this kind of developments. T-Advisor General Manager Jaime Bolívar explains some details about the suite. Question: Mr. Bolívar, you are also Techrules General Manager, a leading company that offers software solutions for the financial sector. T-Advisor is focused mainly in individuals. Why did you take this decision? Answer: Techrules has more than 20 years of experience developing the best solutions for financial entities with a high success. Nowadays individuals have many channels to manage and decide about their investments, because they have a lot of information available through the Internet. But a lot of information does not mean being well informed. That was our point: organise and provide highly accurate and visual information, so that everyone could take the best decisions for their investments. Q: There were already tools to manage own investments. What are the strengths that any investor can find in T-Advisor? A: T-Advisor was conceived for individuals that even do not have deep knowledge in markets. That is why the suite is very visual and has many ratios to follow the performance and the risks of their investments. We are very proud about our tools of market opportunities, updated every week; our smart benchmarking tool, to help investors compare relative performances in their portfolios; and our quant model portfolios, defined by profiles and countries, so that a particular can join them. 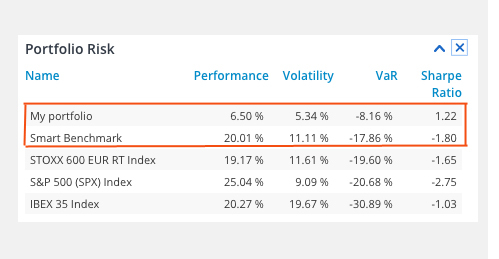 These quant model portfolios designed by T-Advisor are performing incredibly well: the weakest, for a conservative profile, produced a 5.3% return and the strongest climbed to a 69%, linked to the Nasdaq. And we are continuously improving, updating and creating new tools in the suite. Q: What about investment information from different countries? Is that possible? A: Of course, that is another of our strengths. You can find market opportunities in 29 different exchanges, from Europe to USA and emerging markets. 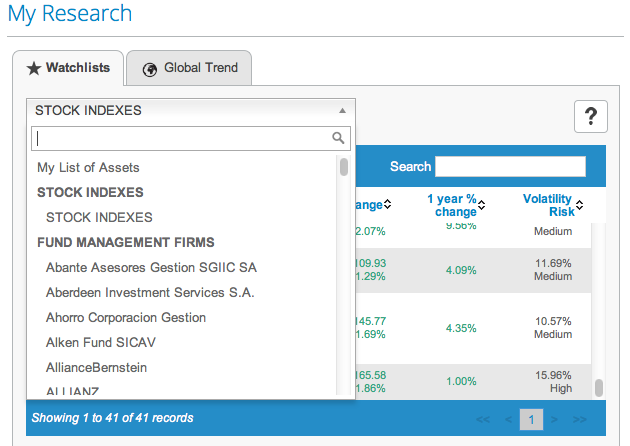 Our watchlists provide assets from a wide range of indexes and institutional investors. And also our global trend tool shows performances in 32 different countries around the world. A particular investor can decide investments from his or her mobile in South Africa, China or US, if he or she checks in T-Advisor that the best opportunities are there. And they can do it through T-Advisor. Q: Is it difficult access to T-Advisor? A: Absolutely not. Just register in our website www.mytadvisor.com and begin to invest. Our customers can open a free trial account for three months. We are so sure about the quality of our suite that we know that, after this period, they will not be able to avoid investing with T-Advisor. This entry was posted in News and tagged market opportunities, quant model portfolios, smart benchmark, wealth management on January 13, 2014 by Oscar Garcia.